Explore our collection of latest Indian ethnic wear and bollywood fashion trends. Revel in the colors, patterns and styling of our unique designer sarees that that captivate and enchant with their grace and versatility. 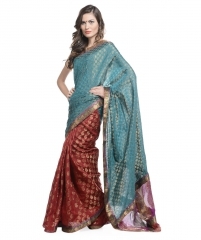 Enjoy the sensuality of a asree, as you learn to drape the wondrous fabric. Complement the saree with innumerable styles of blouses tailored to define elegance. Browse our extensive catalog of Lehenga Choli ensembles for every occasion. Exude charm with these perfectly tailored combinations of long skirts and embellished blouses. 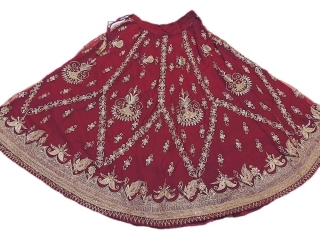 Marvel at the beautiful, trendy long skirts with extensive embroidery, bead work and zardozi work. Define your style with our collection of chic, flowing fashion skirts that never grow out of style.